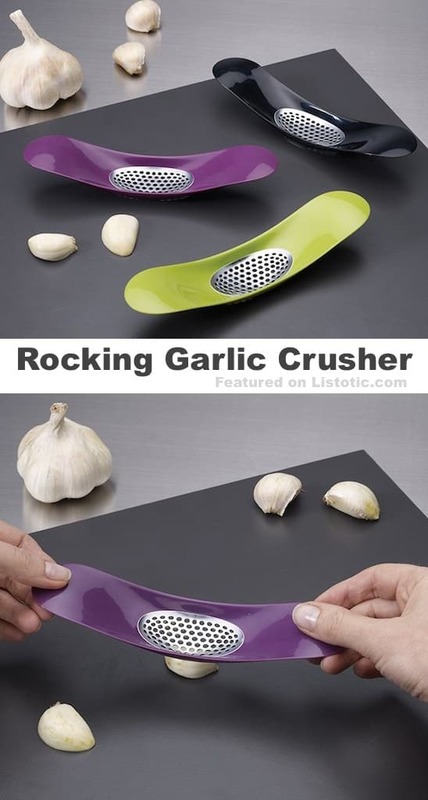 This rocking garlic crusher is easy to use and easy to clean! 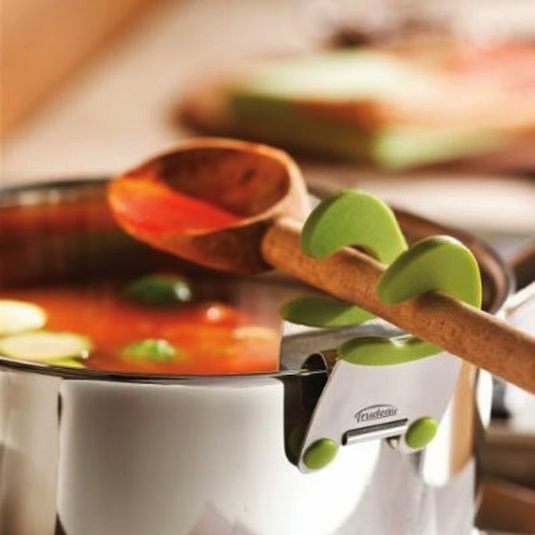 This handy kitchen gadget allows you to crush and mince garlic with ease. The scooped design holds the garlic like a bowl, allowing the garlic to be scraped into a bowl or pan.